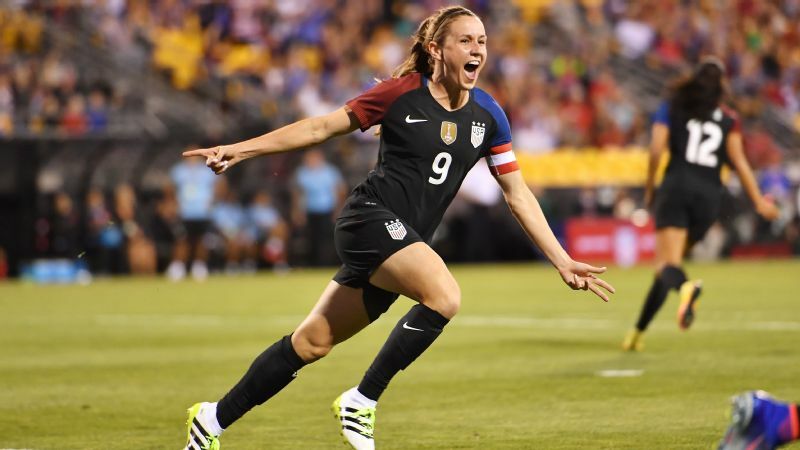 Heather O'Reilly, an Olympic and World Cup champion and one of the most capped players in the history of American soccer, has signed with Arsenal Ladies FC. Arsenal Ladies FC announced the signing Wednesday. The club is a member of the top division of the Football Association Women's Super League, the highest level of women's professional soccer in England. Heather O'Reilly also made 231 appearances for the U.S. women's national team, seventh most of any player, and won three Olympic gold medals and a World Cup title. O'Reilly's contract with the club will run for 18 months. The move to England marks the first time that O'Reilly, 32, will play abroad professionally. She previously played in the United States for three seasons with Sky Blue FC in the now-defunct Women's Professional Soccer and more recently for four seasons with Boston Breakers and FC Kansas City in the National Women's Soccer League. O'Reilly also made 231 appearances for the U.S. women's national team, seventh most of any player, and won three Olympic gold medals and a World Cup title. She said she never seriously considered playing overseas while part of the national team. But upon retiring from international competition in September, she accepted an invitation to train with Arsenal the next month. "She is a world-class player and one of the most respected players in the U.S.," Arsenal Ladies manager Pedro Martinez Losa said in a statement. "Her determination and character will make a big difference for this club. She will bring here a legacy of values, hard work and professionalism which will also help our young players to develop. It is a privilege for us to be able to bring her to Arsenal Ladies." 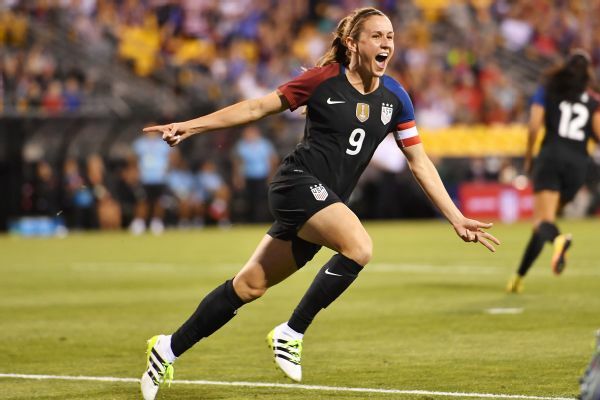 O'Reilly is the third high-profile American to sign with a European team in recent weeks after current national team members Alex Morgan and Crystal Dunn joined France's Lyon and England's Chelsea, respectively. O'Reilly, who is involved in projects to make soccer more accessible to underserved communities in the United States, described her decision as one of timing and opportunity. "I'm doing this particularly to experience football on a more global scale," O'Reilly said. "It's one thing that I haven't been able to do in my career. So that is the compelling reason for me wanting to be over here. "Long after my playing days are done, I want to be an ambassador for the sport in the U.S. I think an experience like this will only make me a more impactful ambassador." Arsenal Ladies have won more league titles than any women's team in England, including the first two championships in the FA WSL, established in 2011, and 12 championships in the FA Women's Premier League that preceded it. The club has also won the FA Women's Cup 14 times, including last year in front of a record crowd of 32,912 at Wembley Stadium. The league previously played a summer-based schedule but will shift this year to a winter-based schedule in line with much of European soccer. To accommodate the change, the top division's 10 teams will play an abbreviated nine-game spring season beginning in late April, followed by a full 18-game season beginning in September and running through the following May.